Hyperoptic is the UK’s largest and leading residential gigabit broadband provider, and delivers the fastest residential broadband service in the UK. They are setting a new standard for hyperfast broadband speeds, which is combined with a reliable service and great customers service. 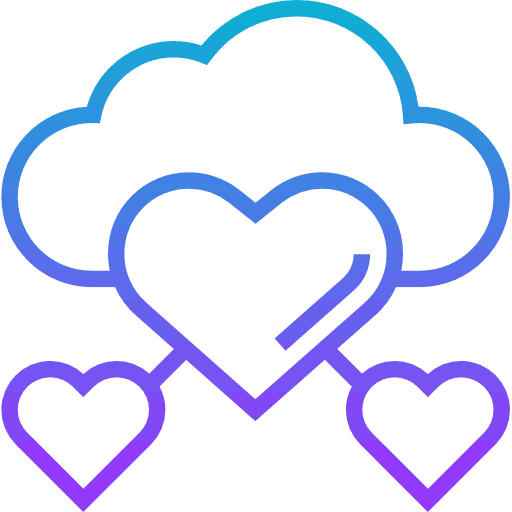 Stream, browse, play and explore with lightning internet speeds that are over 21x faster than the average speed a UK consumer receives today. If you are looking for fast internet speeds at reasonable prices, Hyperoptic broadband may be the best choice for you. 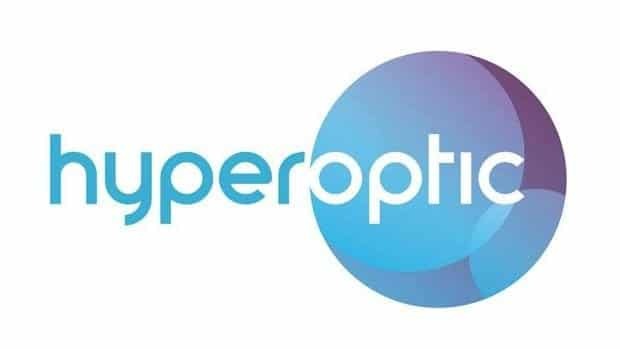 To help you decide whether Hyperoptic is the right choice for you, we have put together a useful overview, including prices, promos and an expert review. So you know, this page includes affiliate links, and we may receive a small commission if you click through & make a purchase. This commission helps us donate to amazing good causes and charities. Below you will find a few of the best Hyperoptic promo codes currently available. Head over to our Hyperoptic voucher code page for a full list of offers. Use our Hyperoptic promo code to unlock discounts of up to 38% OFF! Use promo code whilst signing up to unlock the extra discount. Unlock impressive savings at Hyperoptic on their impressive 1GB internet plans. Use Hyperoptic Promo Code to unlock the savings. "Found a great deal and now have lightning fast broadband speeds." 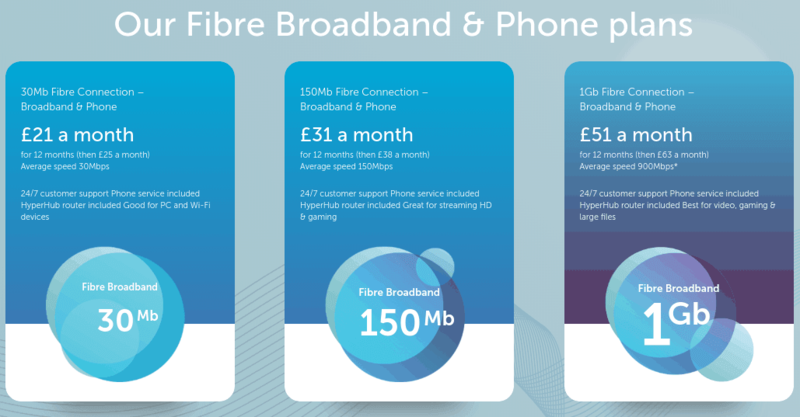 Hyperoptic offer simple and straight forward pricing for their broadband. The three broadband packages available are based on the different speeds available: 30mbps, 150mbps and 1gbps. You also have the option to add a phone to your internet package, which costs £2-3 extra per month. 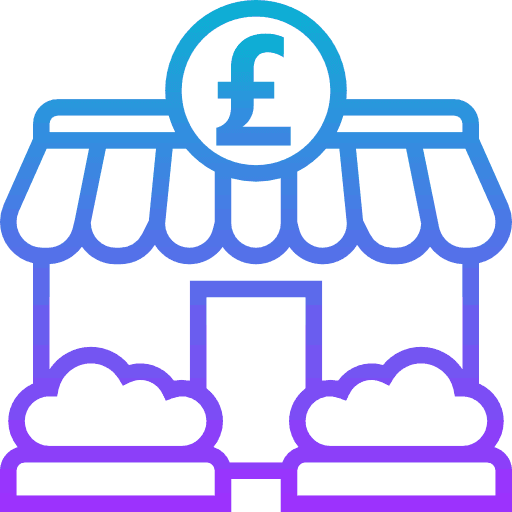 You can also pay-monthly with a no contract plan, however the prices are £2 to £4 extra per month, and you do not receive the introductory offer rates. There is typically a one-off £40 installation fee, however there may be promotions offering free installation from time to time. If you are considering switching to a new broadband provider, we are here to help. Below you will find the highlights of our Hyperoptic review. 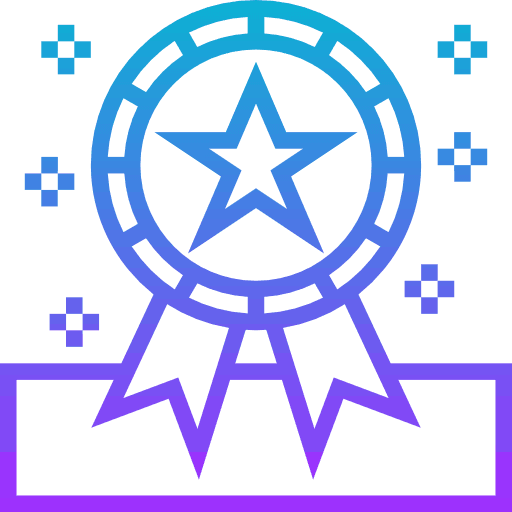 For a more in-depth analysis, please read our full expert review of Hyperoptic. Hyperoptic offer the fastest broadband currently available to residential customers in the UK, with impressive speeds of up to 1 gigabyte per second. These impressive speeds are 30x faster than the average speed UK consumers receive, however there are some limitations and restrictions, as well will explore below. If you love the internet, Hyperoptic may be the perfect broadband provider for you. You can stream, game, browse and binge as much as much as you like, with no usage or data limits on any of there plans. Another bonus is that with Hyperoptic you don’t need a phone line, which means no more annoying line rental charges! Overall, Hyperoptic offer a fantastic package and incredibly fast broadband speeds. If you don’t need fast internet, there are other broadband providers who may be better suited for you. Unfortunately, availability is still quite restricted to selected urban regions (you can check the coverage map here), but they are rapidly expanding their network. Hyperoptic broadband is a superfast gigabyte internet service. It has been created to allow consumers with internet speeds capable of keeping up with modern technologies and demands. Whether you want to stream, play or browse, the broadband service offered by Hyperoptic is capable of keeping up with even the most extreme users. Can I get Hyperoptic Broadband? As Hyperoptic is rolling out a brand new network with modern technology, they are not yet available in all areas. The gigabyte broadband service is mostly available within major cities and towns. They have a simple and quick online system to check whether your building or location has hyperfast internet available. Hyperoptic is the name of the UK’s leading superfast internet provider. Currently, they offer maximum speeds up to 1GB, which is over 21x faster than the average UK consumers internet speed. The fibre optic cabling used is also future-proof, allowing for even faster speeds once the demand and technology increases. Do you need a phone line for hyperoptic? A phone line is not required, as Hyperoptic use their own fibre optic cables, which is much faster than a traditional copper phone line. The fibre optic cable can deliver lightning fast speeds. An added bonus of not having a phone line is that you will not need to pay line rental, which can help you save on the cost of your broadband. Hyperoptic does not use the BT network, nor do they use Virgin Media’s fast fibre optic cables. Instead, they use their own network, which has to be specially installed in your area and building. Who has the fastest internet in the UK? The fastest internet in the UK is 1GB per second. Only a select number of providers can deliver such fast speeds to residential customers. The UK’s leading 1GB internet provider is Hyperoptic, who specialise in providing hyperfast broadband throughout the nation. Assistall is a social enterprise aimed at raising money for charities and good causes who do amazing work within our society. As such, whenever someone clicks through uses on of our Hyperoptic promo codes or clicks through via a link on this page and makes a purchase, we receive a small commission which enables us to donate much needed funds to good causes around the UK. There is no cost to you, and no obligation to proceed. Assistall also aims to help consumers too! We have loads of useful reviews, money saving tips and discount codes. You can find out more about how Assistall works here. Hyperoptic Broadband regularly have amazing deals and discounts on all of their plans, ranging from free installation to great discounts on their gigabyte internet. Below you will find the latest and best Hyperoptic deals currently available in the UK. Be sure to also check out Hyperoptic promo code page for more deals, discounts and offers. Hyperoptic offer customers 24/7 support, helping to ensure any problems are quickly addressed. For new customers, there are a number of ways to contact Hyperoptic. Some of the most popular methods are via the Live Chat tool and the online enquiry form, both of which can be found here. If phone is your preferred contact method, drop them a line on 0333 332 1111 – lines are open 24/7! Unlike many other providers, Hyperoptic do not use copper phone wires. Instead, they have built their modern network to meet the demands of modern day computing. To achieve this, they use fibre optic cables, which run throughout the network and deliver unmatched speeds and reliability. 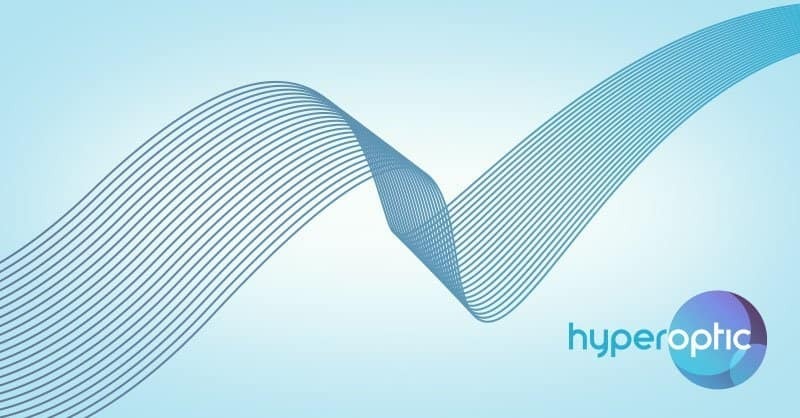 The unique technology used by Hyperoptic also allows for symmetrical gigabyte broadband. This means that on the 150MB and 1GB plans, customers can upload at the same speeds as they download, where normally the upload speeds are significantly slower than the download speeds. You can rest assured that your complaint will be dealt with correctly. You have the option to escalate your complaint, if needed. If you are still not happy, you can take the matter to the Ombudsman service.